In comparing the major Bordeaux wine appellations, it would be difficult to find more consistency than in Saint-Julien. Perhaps this is due to having over 90% of its vineyards owned by classified growth châteaux, but it is more likely due to the high quality of the producers found here. Located just south of the Pauillac appellation, Saint-Julien is the home to some of the most historic wine producers in Bordeaux, from Léoville Barton to Talbot and Ducru-Beaucaillou. The Saint-Julien châteaux consistently produce some of the best wines in Bordeaux in the stronger vintages, but some of the best wines of the Médoc are typically found here even in lesser vintages. And while there may not be a Latour or Lafite found here, the consistent excellence in Saint-Julien is unparalleled and is found nowhere else in the region. We recently participated in a dinner that included vertical tastings of two excellent Saint-Julien properties, Château Beychevelle and Château Saint-Pierre. Both the wine styles and history of these properties are quite different, though both can claim significant improvements in their wines over the past decade. Situated at the southern end of Saint-Julien, Beychevelle is a large property that boasts both a classic old château and a new state-of-the-art winery. Classified as a fourth growth in the 1855 Médoc Classification, much of the improvements in their wines can be attributed to more strict selection of grapes to be included in their grand vin. Saint-Pierre is another fourth growth, but is situated on a much smaller property. Like Beychevelle, the wines have shown recent improvements and their facilities upgraded. While there are stylistic differences between the two estates, both wines exhibit a balance of power and elegance that is characteristic of Saint-Julien. The dinner involved a vertical tasting of most of the important vintages from 2003 to 2010. A 2005 wine of another Saint-Julien producer, Château Branaire-Ducru, also found its way into the tasting. And finally, a number of dry and sweet Bordeaux white wines served as openers and closers to the evening. All in all, the wines showed well, but this tasting confirmed that these wines require a lot of aging. In fact, it could take well over a decade for most of these wines to reach their peak drinking potential. The tasting notes are all below. Recently we were contacted by Victoire Touton from Château Angélus, who informed us that proprietor Hubert de Boüard was scheduled to visit South Florida. When she asked if we would be interested in helping coordinating a tasting, obviously we agreed without hesitation. Monsieur de Boüard is one of the most iconic and recognizable figures from Saint-Émilion, also serving as a winemaking consultant to numerous producers throughout Bordeaux (such as Château Siran and Château de Fieuzal). Tasting multiple vintages of Château Angélus, while discussing the wines with him, would certainly be an opportunity no t to miss. The event was held at Café Maxx in Pompano Beach, and was coordinated by Wine Watch. There were eight vintages of Angélus included in the tasting: 1994, 2001, 2004, 2005, 2006, 2008, 2010, and 2011. Two vintages of the second wine Carillon d’Angélus, 2009 and 2012, were also included. Elevated to Premier Grand Cru Classé (A) in 2012, Château Angélus has consistently produced some of the best wines in Saint-Émilion over the past twenty-five years. 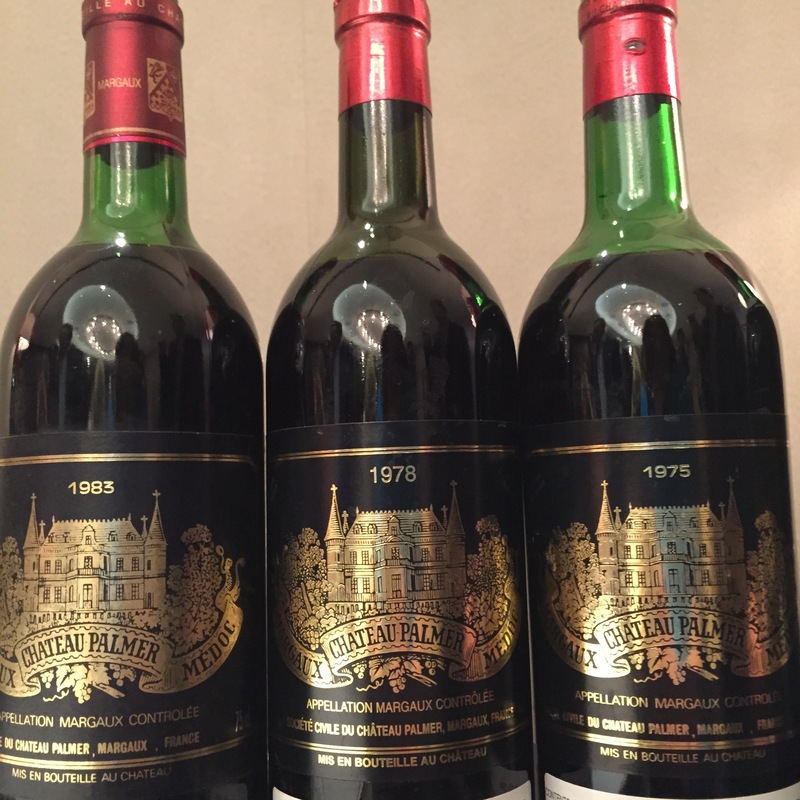 After Hubert de Boüard took the reigns at Angélus in 1985, the vintages of 1988, 1989, and 1990 brought life back into the château and placed it back into the Bordeaux elite. And over the next couple of decades, Angélus produced wines that were consistently among the best in the right bank of Bordeaux. Angélus is known for its appearances in James Bond films, which certainly helped raise global awareness of their wines. Humility and passion. This is how I would sum up Hubert de Boüard after speaking with him about his wines. He was extremely nice and forthcoming, engaging every person throughout the evening. But what is most striking is his unyielding passion for winemaking and his wines. He considers himself a farmer, who is quite proud of his family heritage. The legacy of the Angélus estate spans eight generations, which is quite a rare feat among the top properties in Bordeaux. M. de Boüard emphatically stated that he considers his greatest success to be the love and knowledge of winemaking that he passes on to the next generation, rather than his own successes in winemaking. While he still serves as the technical director at Angélus, his daughter Stéphanie has assumed more responsibilities in running the estate. This is a man who puts his heart and soul into producing the best wines possible every vintage. What truly makes nights like this special is the opportunity to get to know the personal side of the winemaker. Certainly we talked about wine, such as the underrated reputation of the 2001 vintage for the right bank. When I asked to name one of his favorite wines (other than his own), he mentioned the 1989 Haut-Brion without hesitation. We discussed the 2015 vintage at length; he drew similarities to 1998, but suggested the character of 2015 is somewhere in the middle of 1998 and 2005 (perhaps structurally as well). When discussing his wines, he commonly reminded me how important the Cabernet Franc is in the blend, and how it gives the wine longevity. His goal is to produce a wine that can span three decades, if not more, and the Cabernet Franc is the key. You will know what he is referring to if you have ever tasted the 1990 Angélus. And finally, he had an interesting anecdote about his dogs. Apparently, his labrador only likes to eat grapes in the vineyard when they are ripe; he joked that the dog knows when the right time is to harvest. Regarding the wines themselves, this was clearly a night of consistent excellence. All of the nights showed well, but perhaps the surprise of the evening were the two vintages of Carillon d’Angélus (2009 and 2012). These showed great complexity and drinkability, especially considering Carillon is the second wine of Angélus. Most of the vintages of Château Angélus were quite young, but there was great potential shown in most of the wines. It is always a good sign when no one can agree of their favorite vintages, and on this night, everyone seemed to indicate a different vintage to be their favorite. But on the this night, it certainly appeared that vintages like 2001, 2004, and 2010 stood out. The 2010 is an impressive effort, and should evolve into one of the greatest wines in the history of the estate; the complexity and mouthfeel are stunning. And despite the 15.5% alcohol level, there is no detection of heat at all. 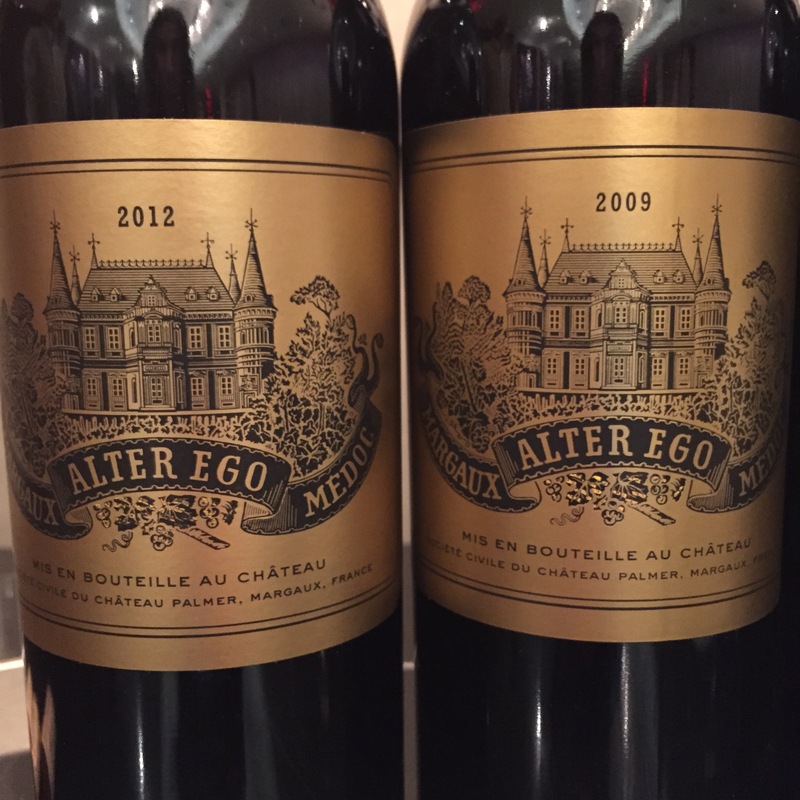 The 2001 and 2004 continue to show why they are among the best Bordeaux wines of their respective vintages. The 2005, on the other hand, appeared to be in a shy, shut-down phase on this evening. But the conclusion drawn from this tasting is that Angélus has produced impressive wines throughout the past 15 years, irrespective of vintage. Much of this could be attributed to advances in modern winemaking, but you cannot deny the influence of terroir and a passionate winemaker as well. Overall, this was an evening of great company and great wines. 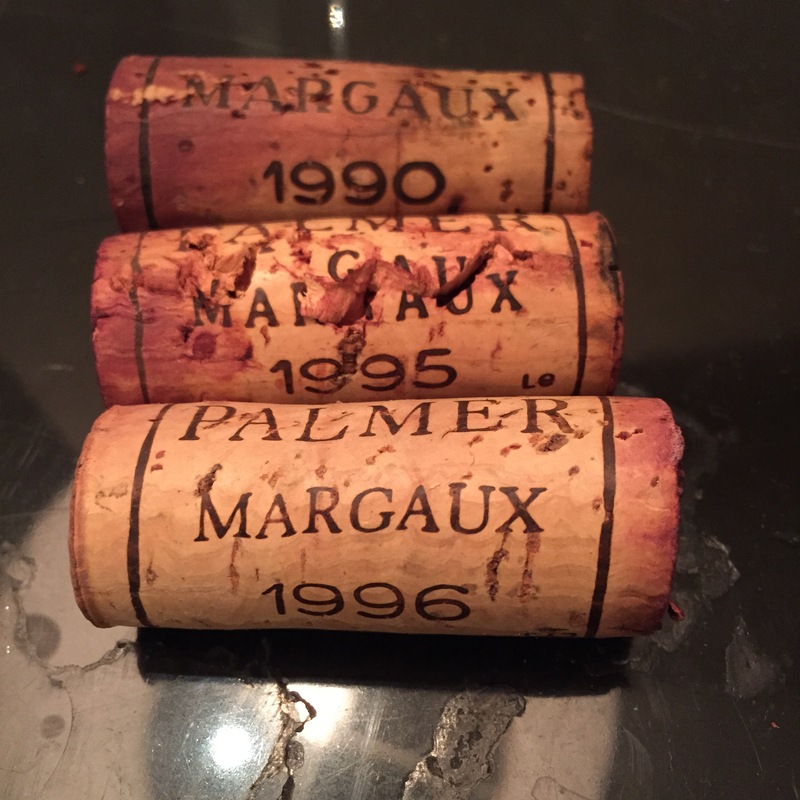 We learned not only about the wines, but about the history of Saint-Émilion and Angélus. And as the night was closing, M. de Boüard told a story of his young grandson who is already learning to taste the grapes in the vineyard. The ninth generation is already learning to become a winemaker, which should ensure that the family lineage continues. 1994 Château Angélus. Medium ruby color, mild bricking at edges. A very complex nose, with bright red fruits, tobacco, herbs, cedar, Asian spices, and violets. Lacks the charming earthiness of the 1989 and 1990, but has more of a spice element to it. Medium weight. Still has very fine tannins to resolve. This beauty is still in its drinking window, and there is enough fruit and remaining structure to take this at this five more years. In comparison to other vintages, this is not not as round and structured as the 1995; it is much more evolved than the still youthful 1995. This is more of an understated charmer than the bigger and more complex 1989, 1990, and 1990. For a so-so vintage, this is a success. 2001 Château Angélus. Deep, dark purple color. One of the more open and intoxicating noses of the night, with ripe plum, damson, licorice, mineral, barnyard, and espresso. Caressing on the palate, with soft, round tannins. Impressively structured. A long, lingering finish. There is always a lot of life with this wine. This is a vintage to follow. This wine showed extremely well tonight. 2004 Château Angélus. Dark purple color. Another fragrant, open nose of dark and red fruits, violets, sous bois, and chocolate. Impressive concentration. The palate seems to have layers, with a very pleasant mouthfeel. Tannins a bit firm and in need of more integration. Nice acidity on the medium-plus length finish. Optimistic of a long future. 2005 Château Angélus. A shy nose. Not really showing its stuff right now. The nose is still quite primary, with dark fruits, spice, and vanilla. Dense and concentrated. A full-bodied mouthfeel, with serious backbone and structure. Fairly tannic right now. Lengthy finish. This is obviously an excellent wine, but this is nowhere near maturation. That said, with enough air, this is still very enjoyable and should start to nudge at its drinking window in the near future. This should easily eclipse three decades. 2006 Château Angélus. Dark purple color. This one is pretty tight right now. Probably needs a lot of aeration. Nice is fairly open, with black cherry, blackberry, herbs, and dark chocolate. Tannic and not quite balanced right now. Lots of acidity on the finish. Hasn’t quite entered its drinking window. If you’re planning to open this now, I would probably save most of it for the next day. 2008 Château Angélus. Nose somewhat subdued, but very floral. Lots of plum, black cherry, truffle, licorice, and violets. Really like the complexity on the nose and palate. A really silky mouthfeel, with nicely integrated tannins. A long, smooth finish with lots of balanced acidity. 2010 Château Angélus. Deep inky purple, almost black in color. A seriously densely aromatic nose of black fruits, licorice, truffle, and dark chocolate. Incredible concentration. Very tannic at this stage, but they are still surprisingly soft. A full-bodied affair, with so much intensity on the palate. Very impressive length on the finish. While this wine clocks in at 15.5% alcohol, there was absolutely no detection of heat at all. The most impressive wine of the evening. This wine deserves cellaring for at least 10 years, though it may become more approachable sooner. 2011 Château Angélus. Deep purple color. A bright, lively nose of red fruits, cherry, herbs, and vanilla. Full-bodied mouthfeel. Good concentration. Has that tannic edge that is characteristic of so many wines from ’11. Average acidity on the finish. This wine needs more time to come together and integrate. Still, this is a smooth drinker that just needs lots of aeration right now. I was able to try this on the following day, and it had shed some of its sharp edges and was even smoother on the palate. The nose was a bit shy, however. Should reach its prime drinking window within five years but expect nice longevity. 2009 Le Carillon de l’Angélus. The second wines were quite good. This had lots of ripe red fruits, black cherry, spice, and vanilla. Soft tannins with no astringency. Smooth finish. While lacking the concentration of the Château Angélus wines, this is so drinkable right now. A really great food wine, but could stand on its own as well. 2012 Le Carillon d’Angélus. Initially, this seemed to be pretty simple. Red currant, cherry, with a bit of licorice and spice. It was pretty straightforward on the palate, but with a nice medium weight and smooth delivery. I was fortunate enough to save some and drink it over the next two days. The improvement was quite impressive, with a much more open, lively nose. The balance was better. There was some earthiness that wasn’t apparent on the first day. This wine obviously has a pretty nice future, especially for a second wine. It’s a testament to the fact that the top producers take their second wines quite seriously. For any Bordeaux wine lover, what would be the ultimate tasting? Perhaps a Pétrus/Le Pin comparison? A first growth horizontal tasting from 1982? One could argue that a vertical tasting of Château Latour that included both the 1961 and 1982 could qualify as an ultimate tasting. This is why we were very excited to take part in a private Latour vertical tasting, held by Wine Watch in Fort Lauderdale. 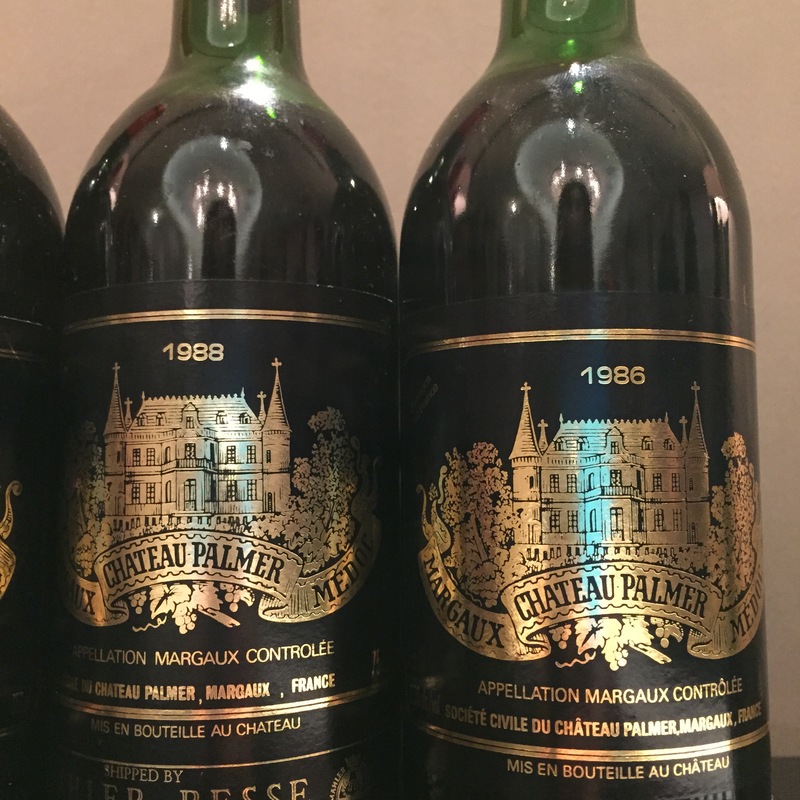 This tasting included not only the iconic vintages of 1961 and 1982, but also included many other tremendous vintages as well, like the 1990 and 1996. What made this tasting even more unique was that it included the 1962, an excellent vintage that often gets overshadowed by the 1961. Château Latour produces some of the best wines in the Médoc, year in and year out. Much of this is due to some of the best terroir in Bordeaux, which includes the famous l’Enclos vineyard. There is also amazing history associated with this estate, from the planting of vines in the 14th century to the purchase by François Pinault in 1993. This tasting included a number of the best wines from this famed history. On this night, many wines were stars, but the ultimate standout was the 1982 (though the 1961 was perhaps not a great representation). Regardless, I would be happy spending the evening with any of these wines. 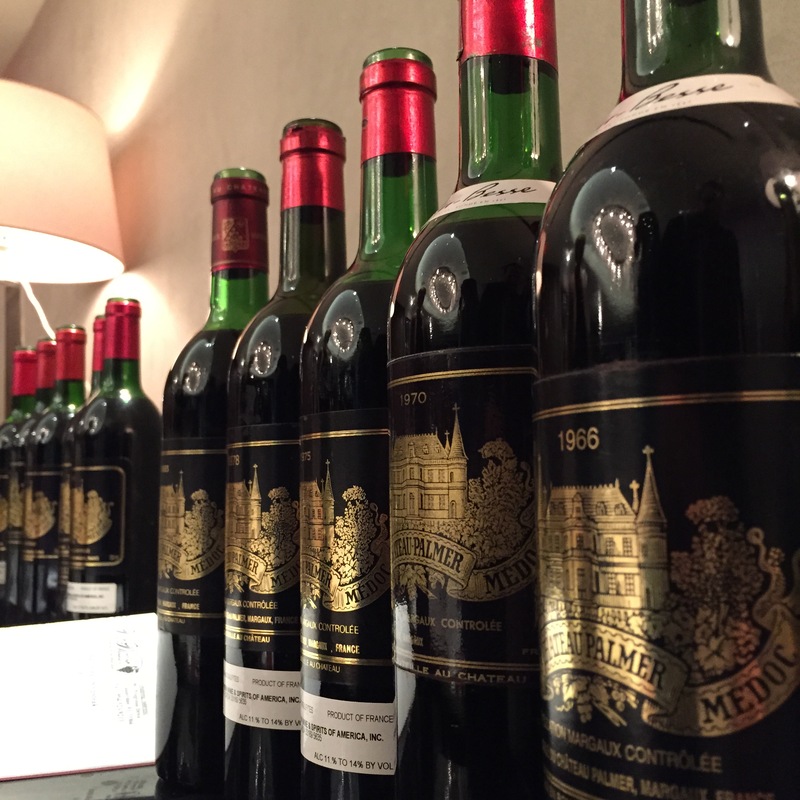 This incredible vertical tasting started with the famed 1961 Château Latour. Unfortunately, this did not appear to be a good representation of this wine, and it appeared a bit oxidized. Amber/brown color. Pruney fruits, dried raisins, leather, herbs, and damp forest floor. A nice mouthfeel, and still adequate structure. A bit flat on the finish. I won’t render much of an opinion here, and will defer until the next 1961. The 1962 Latour also had a bit of an oxidized note, but less so than the 1961. Less earthy and rustic than the 1961. Still had similar fruit profile with prunes and dried raisins. Also noted old library book, tobacco, mushroom, and green pepper — a much more vibrant nose. Really lively and elegant on the palate, and seemed to become more interesting with more time in the glass. Classy, with a beautiful richness. Still had nice structure with round, soft tannins. On this night, I preferred the 1962. The 1970 Château Latour was the least impressive of the tasting. Still had a surprisingly ripe nose, with black currant, some cherry, and fig. Very soft mouthfeel, but a bit thin on the palate. Reserved on the attack and lacked punch on the mid-palate. Hint of bitterness on the finish. Overall, the 1970 did not impress tonight. But, oh did the 1982 Latour impress. This was clearly the wine of the night. The nose was simply amazing, complex and layered. Black currant, cedar, brown spices, licorice, and tobacco. Pure perfection on the palate, from the attack to the finish. A long finish that left a sense of currant and sweet tobacco. Easily one of the best wines I’ve ever tasted. This baby will sing for decades. After this was the 1989 Latour, which was quite reserved for the first two hours. There is certainly potential here. Nice garnet color. A shy nose of dark fruits, spice, and musk. Lacked the concentration of the 1982 and 1990, but it still had charm. This wine didn’t blow anyone away, but when bookended by the 1982 and 1990, it’s just not a fair fight. I would still consider holding onto this a bit longer before opening (perhaps a year or two), based on the tasting this evening. The 1990 Château Latour was my #2 wine of the night. Gained weight the whole night and kept revealing its complex layers. Dark fruits, lots of cherry, barnyard, lots of cedar, fennel, and sweet tobacco. Full-bodied, with incredible balance. Clearly in its wheelhouse right now. Silky ripe tannins, with a solid structure. Very long finish, with lots of fresh acidity. The 1996 Latour was probably the #3 wine of the night. At times, seemed similar to the 1982 in aromatic profile, but still showing very young. Very dark ruby color. Black currant, cedar, mushroom, and licorice. Like the 1990, incredibly well balanced. Lots of ripe tannins. You can open this now, but if you wait for another 5 years, you will be rewarded. The 1999 Latour was the pleasant surprise of the night. I really enjoyed this, and found it be quite interesting. There was much more earthiness on the nose, with a pleasant barnyard scent. Also showed the characteristic dark fruits, cedar, and tobacco. When I closed my eyes, it was like smelling fruit that had been crushed in dirt. Soft tannins in the background. An elegant mouthfeel, but still had adequate power. A bit higher acidity noted on the finish. Compared to the 2000 Latour, this seemed much more evolved. The 2000 Château Latour was simply fantastic, but is just so young right now. A shy nose that did open up nicely in the glass, really showing its pedigree. Black currant, damp earth, pencil shavings, and licorice. Such a classic Pauillac nose. Well-structured but silky smooth on the palate. A formidable wall of tannins on the finish. Also notable acidity. This is an awesome wine, but it really deserves 5-10 more years in the cellar. The 2005 Latour seemed like a baby on this night. Again, a shy nose, but layered and nicely perfumed. Black currant, lots of fennel, clove, and mocha. Can still detect some oak influence. Powerful and really hits you in all corners on the palate. Tannic, but not aggressively so. An incredibly long finish that never seemed to go away. Should be another ‘wow’ wine in 10-20 years. It wouldn’t be criminal to try it now though. The night finished with a tasting of the 2001 Les Forts de Latour and 2011 Château d’Yquem. The 2001 Les Forts was a very impressive wine. A really nice nose of ripe cassis, blackberry, tobacco, and chocolate. Lots of finesse and elegance. Smooth on the palate. The Les Forts certainly held its own tonight among the great wines of Latour. The 2011 d’Yquem was the nightcap. It paired beautifully with the chocolate covered bacon. What more can you say? I’ll certainly pair more bacon with my Sauternes from now on. Such a classy wine, with such great balance at this young age. 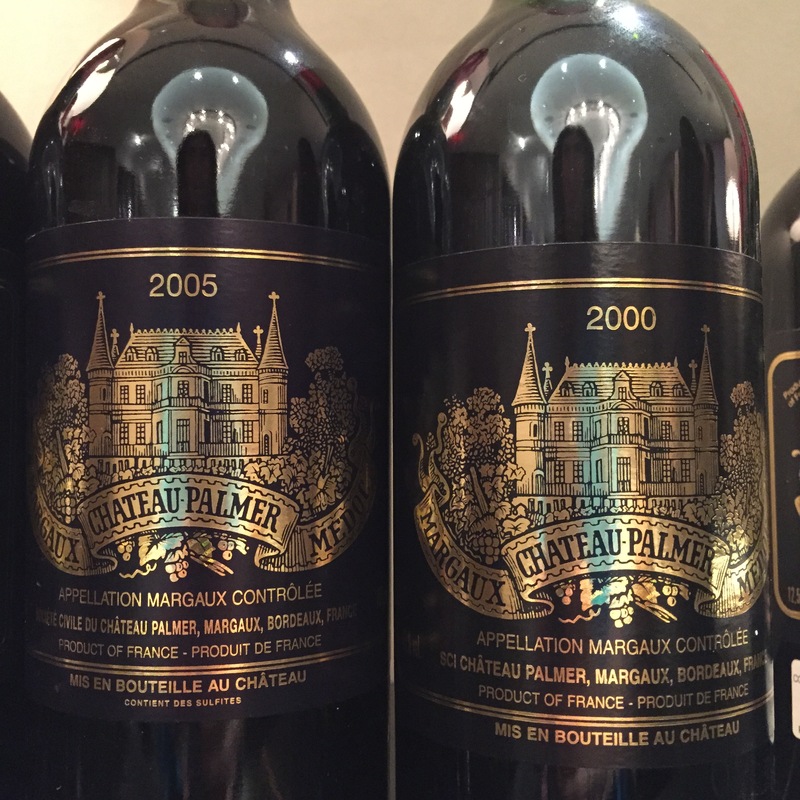 Château Palmer vertical with 14 vintages and 2 from Alter Ego. Michael Mina restaurant. That’s all I needed to know to attend this once-in-a-lifetime tasting event. It was hosted by Wine Watch in Ft. Lauderdale. 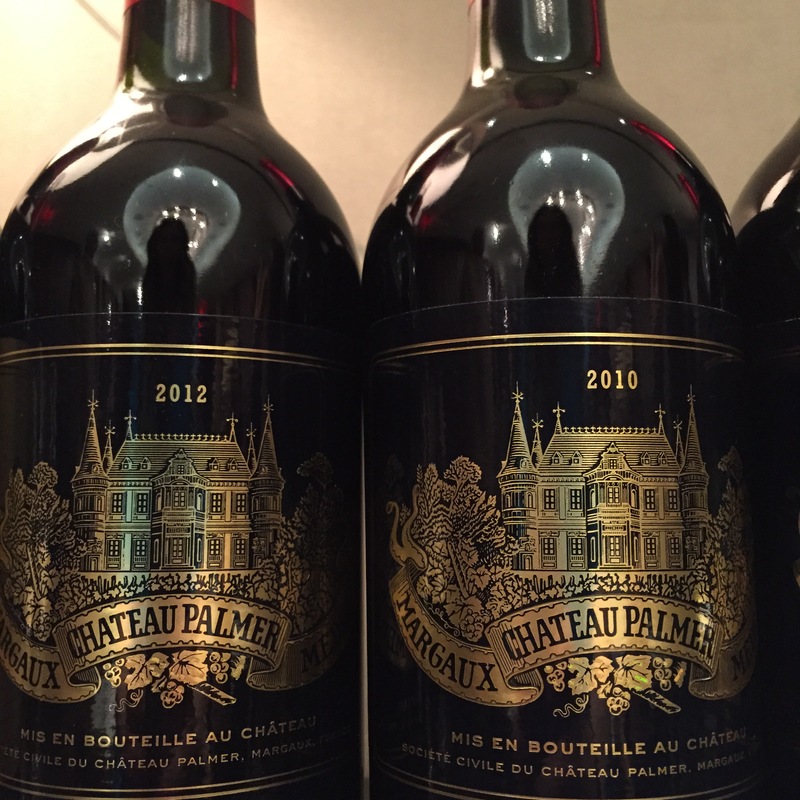 Now, Château Palmer is one of our favorite wines, and I honestly can’t remember ever tasting a bad Palmer. In fact, most of them have been excellent. Jean-Louis Carbonnier, the Palmer representative, was in attendance and provided educational background of the wines. On this night, there were really no bad wines. 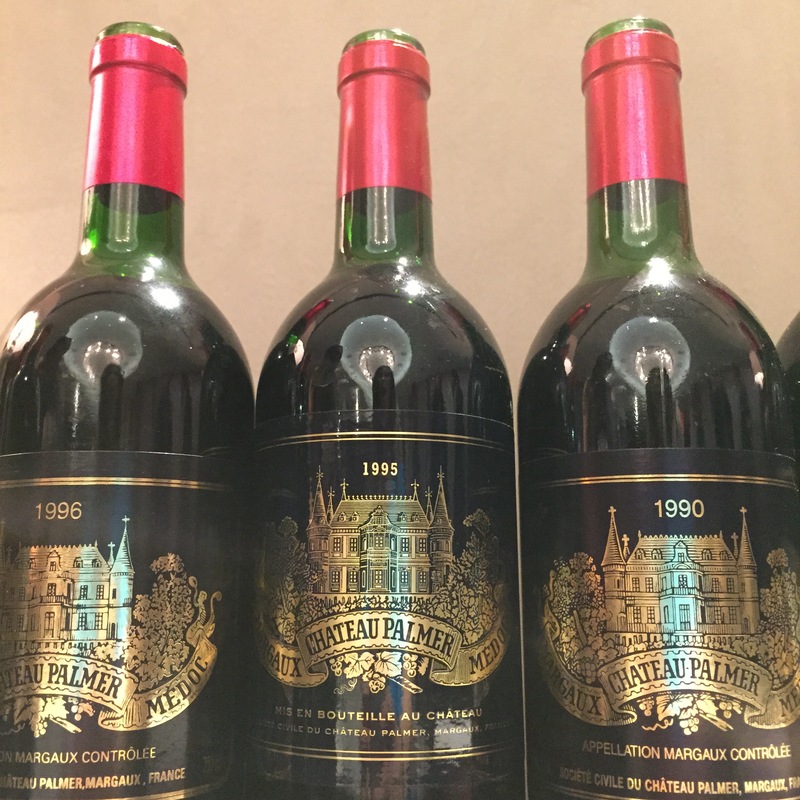 And while some do not like this format of tasting so many wines at once, it really helps to understand a château’s wines by tasting them through the decades. 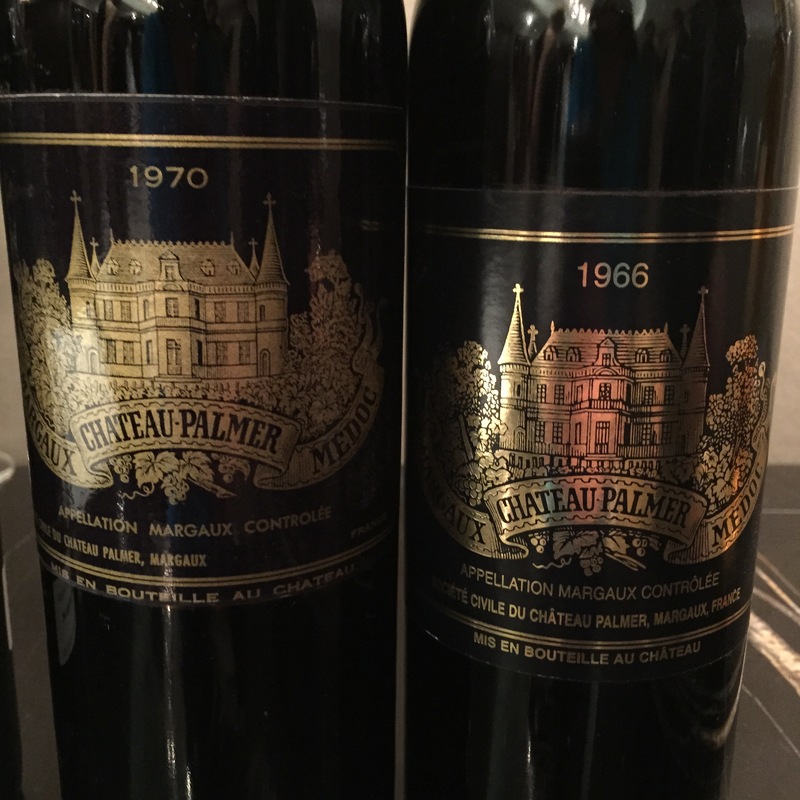 On this night, the 1966 and 1990 Palmers shined above the rest. And while much was learned by tasting 14 vintages, it was also so interesting to taste the 1966 and 1975 again, having recently tasted these. It was surprising to see how different these wines were from the previously tasted bottles. One has to wonder how much bottle variation existed decades ago. This was likely due to how the wines were blended and aged; these days, all of the wine is blended together in one large batch prior to bottling, which serves to eliminate most bottle variation. 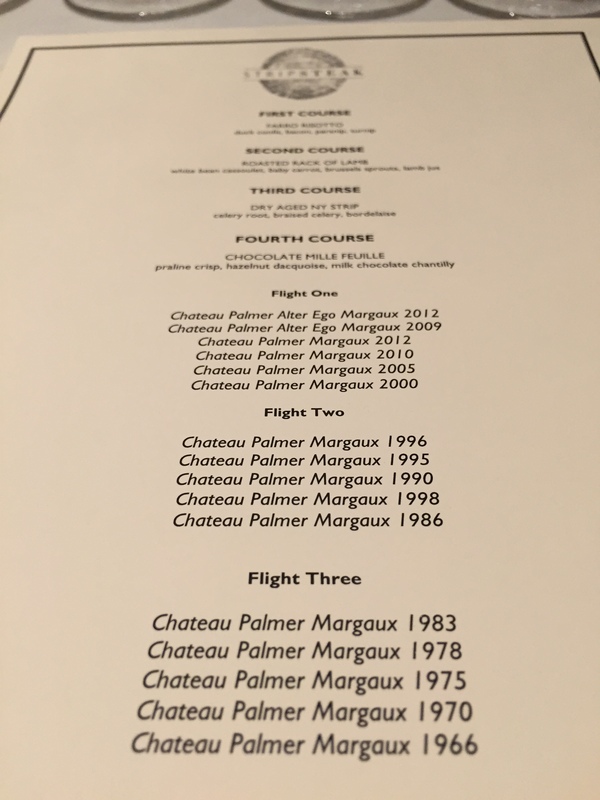 All in all, this was a fantastic tasting, and I can safely say that I will likely never taste so many vintages of Palmer in one evening again.